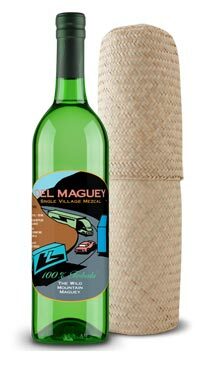 Del Maguey (pronounced ma–gay) was founded in 1995 by artist and mezcal visionary, Ron Cooper. Ron introduced the world to previously unavailable 100% certified organic, artisanal mezcal produced the original handcrafted way by small family producers in their own villages. Mezcals made from the Tobala variety of Agave are highly prized. Tobala is only found growing naturally at high altitudes in the shade of oak trees (kind of like truffles!). The village is located in a tropical mountainous region and care is taken to never over harvest the Tobala in order to preserve and respect the natural habitat. As a result production is very limited. Tobala Mezcal is sweet and fruity on the nose with flavours of cinnamon and spice and a long smooth finish.